Superdry men’s Kiso padded racer jacket. 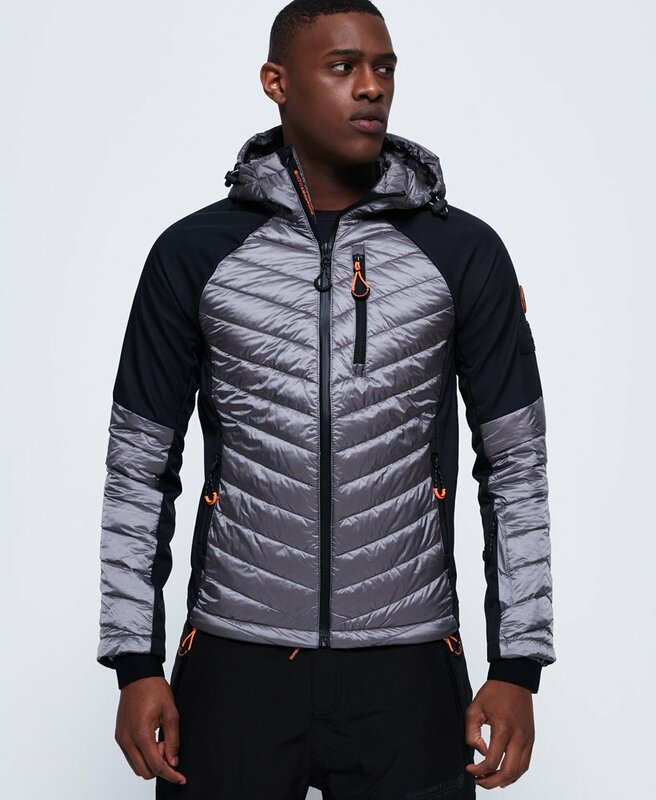 Get ready to hit the slopes this season in the Kiso padded racer jacket. Designed with double layer fabric for extra warmth and comfort, this jacket features a bungee cord adjustable hood, zip fastening and 3 zipped front pockets, one of which has earphone routing. The jacket also has a pocket on the sleeve for your lift pass and one inside pocket. The Kiso padded racer jacket is completed with wrist gaiters for better insulation and Superdry snow badges on one sleeve.